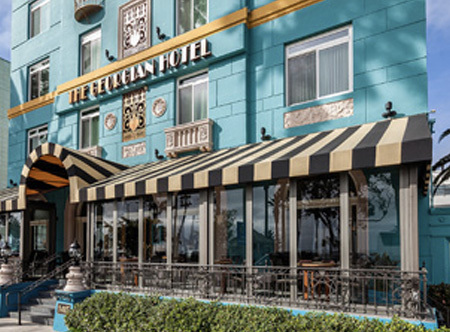 This iconic hotel is your home for 1940s Old Hollywood glamour and just steps away from the Santa Monica Pier and one of the best beaches in Los Angeles. Here, you can watch a gorgeous sunset from the privacy of your hotel room or among friends while sipping a signature cocktail at The Veranda Restaurant. As an Art Deco masterpiece, the Georgian was one of Santa Monica's first 'skyscrapers' and has provided a restful oasis for decades. 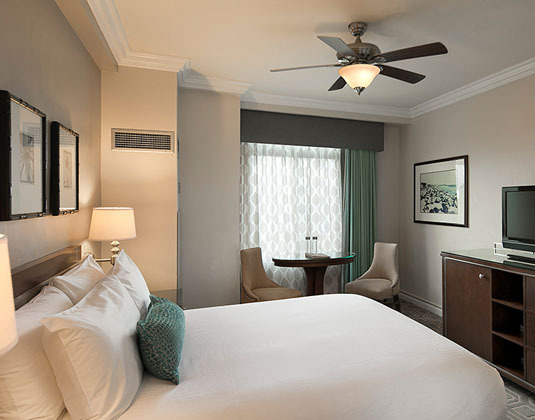 Guest rooms feature an inspired decor and all modern amenities to ensure your comfort. In standard rooms with TV, mini bar, coffee maker, hairdryer, iron & ironing board and safe.